Within Uganda multiple forms of land tenure are recognized by the Ugandan government. One form that is unique to a specific area of this country is the “Mailo” system, in which the majority of farmers are tenants of a small, elite group of land owners. 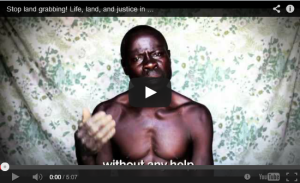 The district of Kalangala falls under this type of ownership regime and as the following video will show, when land is sold off, tenant farmers are often forcibly displaced from their land and livelihoods.